The nonprofit environmental organization took action after an August sewage spill reportedly discharged 1 million gallons of untreated wastewater into D’Olive Creek but was reported as “zero” gallons by the utility. Baykeeper also notes at least four other issues that may form the basis of a lawsuit. The Clean Water Act requires a 60-day notification period before filing a citizen’s suit against a utility in federal district court. Baykeeper claims since 2015, Daphne Utilities reported 26 sewer overflows totaling more than 743,220 gallons of sewage, incorrectly reported the name of waterways affected by various spills and exceeded pollution discharge limits allowed by the plant’s permit. 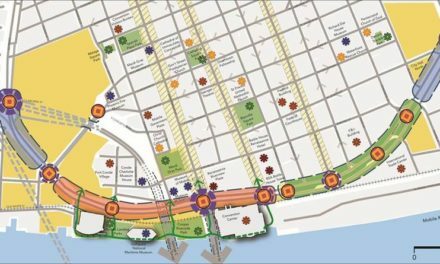 He referred technical questions to General Manager Danny Lyndall, but added he would “absolutely” not hesitate to enjoy recreational opportunities and seafood from Mobile Bay. “We’re going to defend any allegation that comes up,” Fry added. 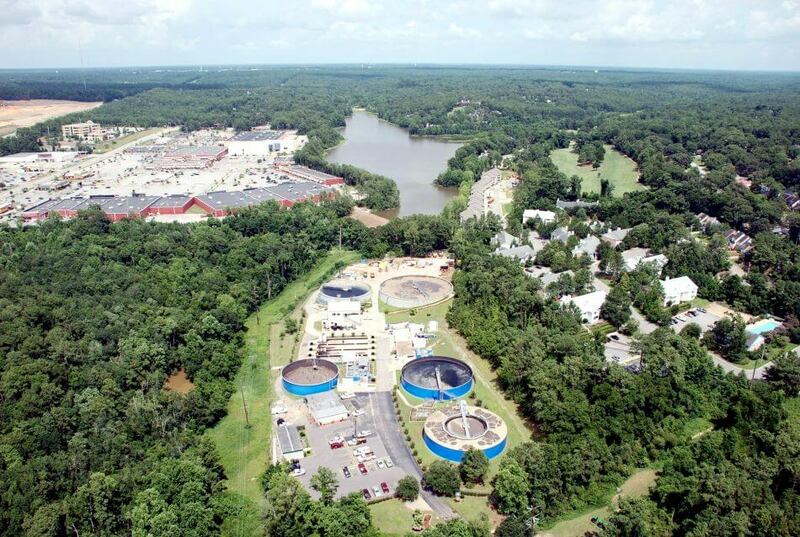 (Courtesy of Volkert Engineering) Daphne Utilities’ primary wastewater treatment plant is along D’Olive Creek, with Jubilee Square shopping center and Lake Forest Lake in the background. Lyndall said the spill in August was the result of a pump failure after a lightning strike, and staff were not aware of its scale because the utilities’ SCADA computer system was also temporarily crippled. Public notification was delayed in the instance because the utility was under the impression no wastewater had left the site — Lindell said there are basins at the plant capable of collecting “several thousands of gallons” of spilled wastewater — but only after the SCADA system was restored did the scope become clear. “We have since updated ADEM about that same incident,” he said. Further, Lyndall said he was disappointed by the “tone” of Baykeeper’s complaint, noting Daphne Utilities has been proactive in working with the nonprofit on public notification as it has a much broader audience on social media. 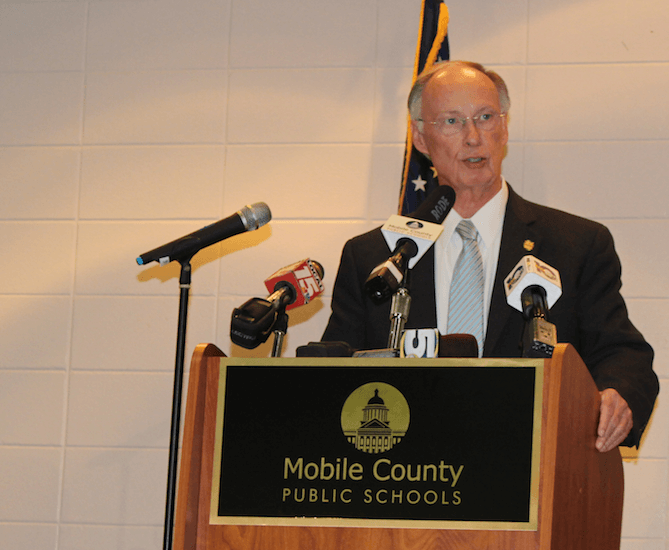 In a conversation Sept. 8, Calloway noted the Mobile Area Water and Sewer Service is the only local utility legally required, by the order of a consent decree, to notify Baykeeper of the location and scale of each and every sewage spill. Others, including Daphne Utilities, are only required to report an estimated range of gallons spilled to ADEM, she said. Lyndall said since the spill last month, Daphne Utilities has had a staff member on-site 24 hours a day and has invested $40,000 in upgrades to its SCADA communications system, going “above and beyond” its statutory requirements. 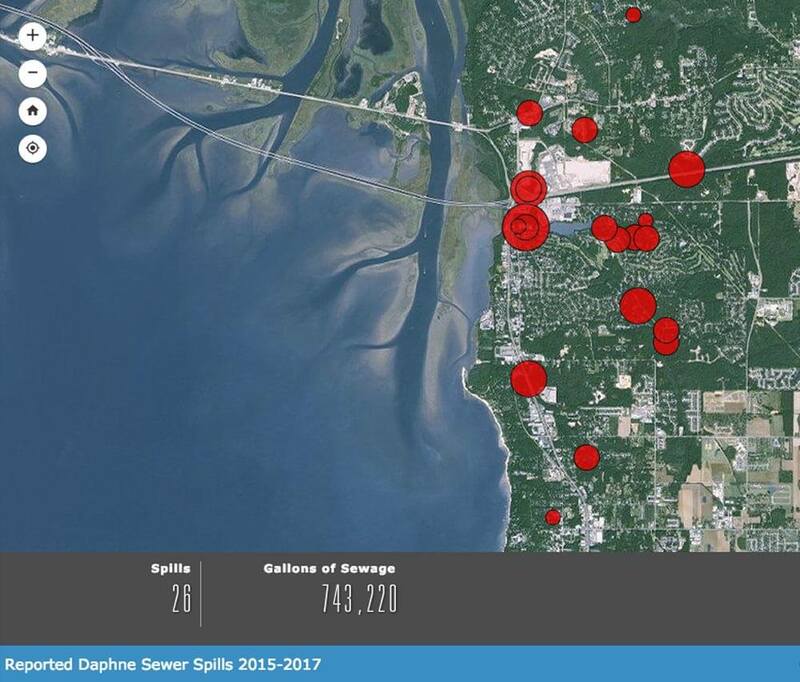 (Courtesy of Mobile Baykeeper) According to Mobile Baykeeper, Daphne Utilities has reported 26 spills since 2015, totaling more than 743,220 gallons of sewage. 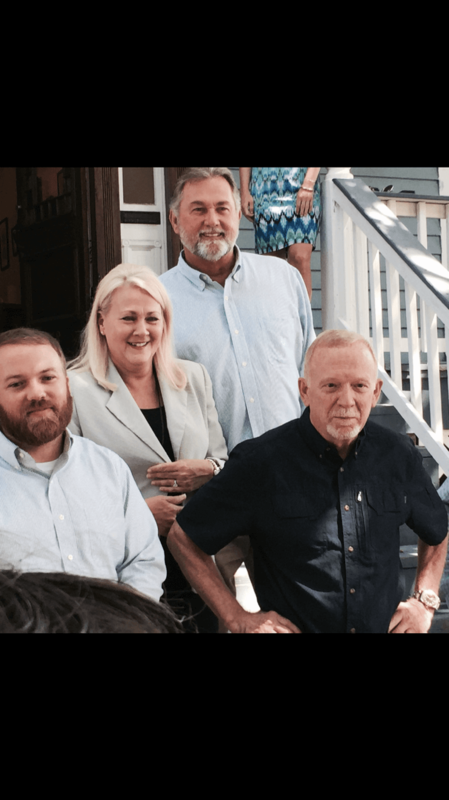 According to state court records, Mobile Baykeeper has not filed suit against a public utility since a similar action against MAWSS in 2007. In 2014, the organization sued the U.S. Army Corps of Engineers in federal court for granting a nationwide permit to install a petroleum pipeline in the watershed of Mobile’s drinking water supply. The action against MAWSS resulted in the consent decree, the case against the pipeline was dismissed. Federal tax records indicate Baykeeper had revenue of $645,005 in 2016 and net assets of $575,984. It listed “outreach and education,” “oil response and restoration” and “local issues affecting Mobile Bay Watershed community” as its three largest program services as measured by expenses.